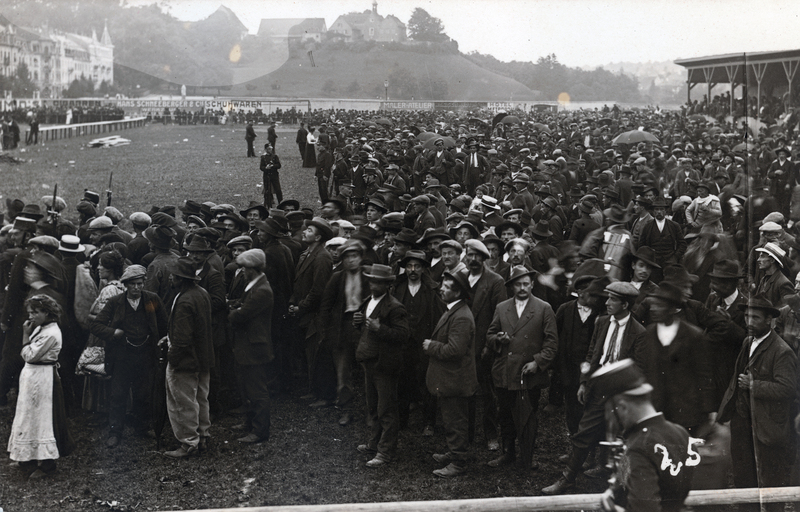 Shortly after the beginning of the war, in August 1914, thousands of Italians wait at the Elsässerbahnhof railway station in Basel for their journey home to Italy. For thousands of Italians living in France, Germany and Austria, the outbreak of the First World War meant getting out. They chose to flee through Switzerland. During the night of 2 and 3 August 1914, 4,000 people arrived in the municipality of Boncourt in Jura, on the border between France and Switzerland. These German, Italian and Austrian refugees had been expelled from France and unceremoniously pushed towards the Swiss border. Governor Choquart and Dunant, the Federal Commissioner for Refugees, were called on to respond urgently, and their response was perfect. They had all these people brought to Basel. However, the two Swiss officials were then met with a second wave of refugees. Around 6,000 Italians followed their compatriots and gathered at the Swiss border. Choquart and Dunant knew there were too many to take to Basel. They therefore decided to have the migrants wait where they were, and brought in a local military detachment, Landsturm-Bataillon 24, to maintain order and discipline until the Swiss Federal Railways (SBB) had organised the repatriation. This passed off almost seamlessly, because the refugees had had the opportunity to make some arrangements, and some even had train tickets. 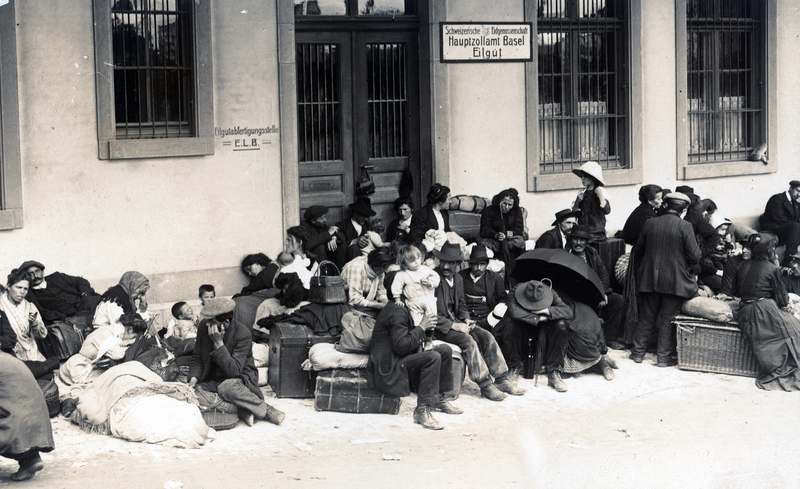 The refugees wait at the Elsässerbahnhof railway station for their onward journey to Italy. Having arrived in Basel, the first 4,000 refugees from France went to the makeshift camps to join the Italians who had just left Germany. The latter had not been expelled, like their compatriots from France, but had lost their livelihoods as a result of the building freeze in the German Empire, and were forced to return home. The camps were not big enough to accommodate almost 40,000 people, so schools, army barracks and military hospitals were also used. 40,000 people! The Italians expelled from France who went to Geneva or into the Valais, and the refugees from Austria, were not included in this count. By 10 August, Ticino had recorded almost 188,000 refugees who had been sent back in the direction of the Italian Peninsula. When around two thirds of these refugees crossed the Gotthard Pass and one third passed through the Simplon, the population of Ticino could hardly believe their eyes, and provided every comfort they could. 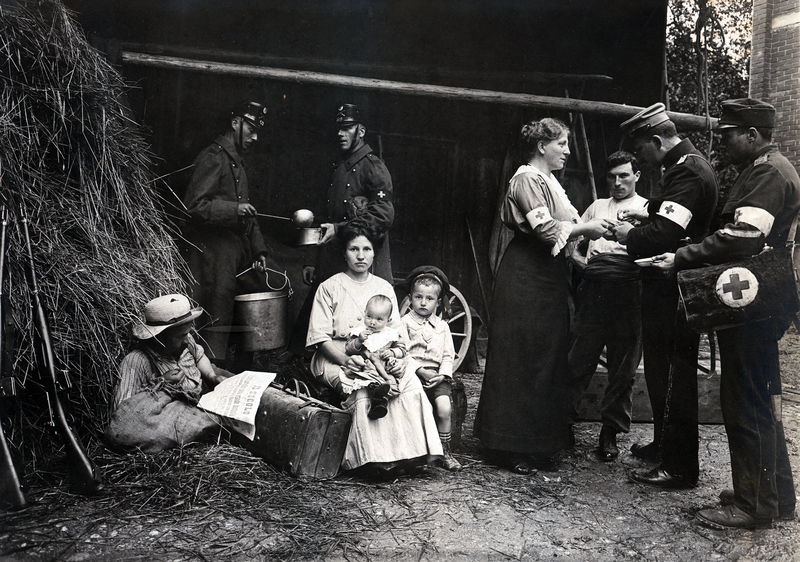 Red Cross workers tend to refugees in Basel in August 1914. The man on the left is reading the newspaper ‘Il Secolo’. On 4 September 1914 the Italian Consul in Lugano, Count Maraggi, took out newspaper spots publicly thanking the Swiss authorities, the army, SBB railways, the Red Cross and Ticino for the assistance they had given the migrants. On 28 October the Central Committee of the Colonie Italienne de Lausanne also thanked the authorities of the Vaud capital for their support in repatriating Italian refugees. When, in May 1915, Italy joined the war on the side of France and the United Kingdom, it was the turn of the Germans and Austrians living in Italy to pack their bags. Several thousand of them sought refuge in Ticino. Even the Abbot Primate of the Benedictine order, Monsignor Stotzinger, fled to Einsiedeln Abbey. Because of his personal friendship and regular meetings with Wilhelm II, he had to leave Rome – as did the Superior General of the Society of Jesus (the Jesuits), Father Ledóchowski from Poznan in Poland. The two fled to Switzerland. Because Pope Benedict XV feared offending the Italian authorities, he had ordered both of them to leave the Vatican, regardless of the extra-territorial nature of the papacy. Italians from Germany, France and Belgium wait on the football pitch on Margaretenstrasse in Basel for their return home. 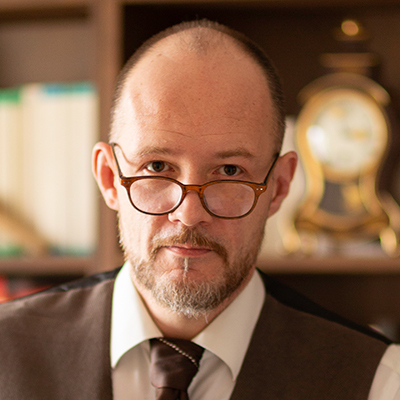 Christophe Vuilleumier is a historian and board member of the Schweizerische Gesellschaft für Geschichte (Swiss Historical Society). He has published a number of articles on 17th and 20th century Swiss history.